Nancy Bell has had two book chapters appear this fall. One, “Pragmatics, humor studies, and the study of interaction” is in an edited collection, Pragmatics and its Interfaces, published by John Benjamins. The other is co-authored with former WSU MA student Stephen Skalicky and is titled “Humor and formulaic language in second language learning.” It appears in the Routledge collection, Understanding Formulaic Language: A Second Language Acquisition Perspective. Kim Christen was awarded the 2018 Creative Activity, Research, and Scholarship Award by the WSU Office of Research. Michael Delahoyde presented “Love’s Labours Found in the Italian Archives” at the Shakespeare Oxford Fellowship Conference in Oakland, California, with photos, transcriptions, translations of, and commentary on sixteenth-century documents he uncovered over the past several summers thanks to research grants from the Fellowship. His team won at Shakespeare Jeopardy. He also served as an invited speaker for an online preview of this presentation to the Shakespeare Authorship Roundtable gathered at the Beverly Hills Library in L.A.
Dene Grigar’s (CMDC, Vancouver) essay, co-authored with James O’Sullivan, entitled “The Origins of Electronic Literature on the Web” has been published in the SAGE Handbook of Web History. She has also been invited to curate an exhibit of hypertext art at ACM Hypertext and Social Media 2019 in Hof, Germany in September 2019. Debbie Lee presented a paper “Art, Folk, Science: Glacier Knowledge in the Arctic Circle” at the Oral History Conference in Montreal, Quebec, October 16-19. She also gave a book signing of her co-edited collection The Land Speaks (2017) at the Oxford University Press booth with her collaborator, Kathryn Newfont of the University of Kentucky. Lee attended the Black Earth Institute annual retreat and planning week, October 3-7, in Wisconsin where she has been named scholar-in-residence for a three year period. She led a seminar on “Art and Politics” at the Institute and gave a literary reading from her current creative nonfiction work. On September 17, Buddy Levy delivered his narrative nonfiction manuscript Labyrinth of Ice: The Triumphant and Tragic Greely Polar Expedition 1881-84 to his editor Marc Resnick at St. Martin’s Press (NY). The book has been slated for publication in Fall 2019. On October 1, Buddy Levy’s story “Mountains and Museums” appeared in Alaska Beyond Magazine. Levy also delivered another article for Alaska Beyond Magazine for the Great Northwest Section of the December issue of the magazine. On October 13 Buddy Levy was an invited participant in the 20 X 2 Moscow event at One World Café. The event was started in conjunction with SXSW 18 years ago and their motto is “Twenty Speakers. One Question. Two Minutes Each.” Here is some information about the event: What happens when you take twenty handpicked creatives and luminaries, give them each two minutes before a live audience and the same (fuzzy) question to unravel? That’s the premise behind 20×2, the popular event staged for the past eighteen years at SXSW Interactive in Austin, TX. Pavithra Narayanan and Thabiti Lewis presented a preview of their film, “BAM! Chicago’s Black Arts Movement” at the 22nd Annual Gwendolyn Brooks Conference for Black Literature and Creative Writing at Chicago State University. The film is scheduled to be released in February 2019. Preview. Jessie Padilla accepted a graduate assistantship in the Multicultural Student Services Smart Start Program for the 2018-2019 academic year where she will advise and mentor a cohort of first-generation students through their first year at WSU. As part of her assistantship, Jessie will also teach one section of UNIV 295: Introduction to Models of Leadership. Jessie also presented “Spoken Identities: Putting Spoken Word Poetry in the Composition Classroom” as part of a collaborative roundtable titled “Rupturing, Relating, and Reconciling (Under-)Representation through Rhetorical Analysis of Narratives” at the Race Pedagogy National Conference at the University of Puget Sound from Sept. 27-29. 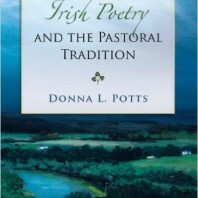 Donna L. Potts presented two papers at the American Conference for Irish Studies, Western Region, in Jackson Hole, Wyoming, on Oct. 12, 2018: “Why I Chose Irish Studies,” and “‘The Harp that Once through Tara’s Halls’: The Tara Road Protest.” Her book, Irish Writing and Environmentalism: The Wearing of the Deep Green, was published by Palgrave, and her conference proceedings, Ireland, Irish America, and Work, co-edited with Amy May, was published by Cambridge Scholars Publishing. Heather Ramos presented a conference paper entitled “Critiquing a ‘truly Christian American home’: The Writings of Sui Sin Far and Rescue Mission Narratives in The San Francisco Call” at the 2018 RMMLA Convention on October 6th, 2018. More recently, Heather also presented a paper on “A Queer Ecofeminist Critique of National LGBT Cancer Projects” at the inQueery Symposium, which was held on October 29th, 2018. Tabitha Espina Velasco participated in a workshop by Linda Tuhiwai Smith, author of Decolonizing Methodologies: Research and Indigenous Peoples at the American Indigenous Research Association Research and Education Symposium in Polson, Montana on October 11-13, 2018. Lauren W. Westerfield’s lyric essay, “Dark Storage,” will appear in the forthcoming Issue 41.1 of Indiana Review. ““Growing Sideways”: Michelle Tea’s Memoirs and the Queering of (Her)Story” at WSU’s 10th InQueery Symposium on October 29th. Michael Delahoyde‘s article, “The 17th Earl of Oxford in Italian Archives: Love’s Labours Found,” co-written with his research associate Coleen Moriarty, is published in The Oxfordian. The piece offers photos, transcriptions, translations of, and commentary on, sixteenth-century documents discovered over the past several summers in Italian archives, thanks to research grants from the Shakespeare Oxford Fellowship. Debbie Lee’s article “The Infinite Helix: Walking Spiral Jetty with Coleridge,” based on her 2018 MLA talk, appears in the current issue of The Wordsworth Circle (Volume 49, Number 2, Spring 2018, 99-103). Her review of Encounters with the People: Written and Oral Accounts of Nez Perce Life to 1858, edited by Dennis Baird, Diane Mallickan, and William R. Swagerty (Washington State University Press, 2015) is published in the current issue of The Oral History Review (Volume 45, Issue 2, August 2018, 365–367). Lee also gave an invited seminar for the Center for Environmental, Research, Education, and Outreach (CEREO) “Art, Folk, Science: Glacier Knowledge in the Arctic Circle” on September 26. Lee’s guest column for The Superstition Review, “The Looking Back,” was published September 30, 2018. Jennifer Lodine-Chaffey (WSU TC) contributed a book review/public intellectual piece entitled “Last Words: On P. J. Klemp’s The Theatre of Death: Rituals of Justice from the English Civil Wars to the Restoration” to the Los Angeles Review of Books’ “Marginalia” section. Tabitha Espina Velasco participated in a livestream of young Chamorro and Filipino activists discussing Guam’s political self-determination, sponsored by Independent Guåhan. She also presented “Composing for Composing: Songs and Music for Self-Representation” at the Race Pedagogy National Conference at the University of Puget Sound from Sept. 27-29 and received a student registration scholarship. She also is currently on the planning committee for the 2018 Inland InfoLit Conference on November 2 in Spokane, Washington. Lauren W. Westerfield’s essays and poems appear in the current issues of Baltimore Review, Sonora Review, and The Turnip Truck(s) “Bodies” issue. She also has essays forthcoming in DIAGRAM, The Pinch, Ninth Letter, and New Delta Review. Her work on CTRL+Shift (a digital meta-narrative of poetry and the creative process), conducted with support from a graduate fellowship at the University of Idaho’s Center for Digital Inquiry and Learning (CDIL), is now available online. At the International Poe and Hawthorne Conference in Kyoto, Jana Argersinger presented an invited paper titled “Relation” on a roundtable, “One Poe or Many?” organized by the immediate past president of the Poe Studies Association. co-authored book, Reading for Action: Engaging Youth in Social Justice through Young Adult Literature, is under contract with Rowman & Littlefield Publishers. In June, Ashley Boyd and Brooklyn Walter presented, “‘This is My Greatest Fear’: Exploring Complicated Topics through Young Adult Literature in a Parent, Teen, at the Summit on the Research and Teaching of Young Adult Literature at UNLV in Las Vegas, Nevada. has new poems forthcoming in North American Review. As well, her recent book Custody of the Eyes was featured in the Boston Review. presented at the National Writing Program Administrator’s Conference in Sacramento, CA, on July 28th. Her presentation drew from her co-authored chapter entitled “Opening an Assessment Dialogue: Formative Evaluation of a Writing Studies Program.” The chapter is co-authored with Ti Macklin, Matt Frye, and Patricia Freitag Ericsson, and it will be included in the forthcoming edited collection entitled Improving Outcomes: Disciplinary Writing, Local Assessment, and the Aim of Fairness (MLA, edited by Diane Kelly-Riley and Norbert Elliot). book Bitter Tastes: Literary Naturalism and Early Cinema in American Women’s Writing (University of Georgia Press, 2016) has been named a Choice Outstanding Academic Title for 2017. Her article “Little House in Albania: Rose Wilder Lane and the Transnational Home” appears in the Fall 2018 issue of Western American Literature. was writer in residence at the Ontario (Oregon) High School Summer Migrant School. His work was the subject of coverage in Ontario’s local newspaper, the Argus Observer. Peter Chilson’s essay, “The Holy War of Amadou Koufa,” about the rise of an African jihadist leader, will be in the spring 2019 issue of Consequence: An International Literary Magazine Focusing on the Culture of War. Chilson’s essay, “The Eternal Country: How an Epic Poem Came to Define an African Nation State,” will be in the Spring 2019 issue of Poetry International. Chilson’s essay, “Border Crossings” is in the winter 2018 issue of New Letters. Chilson’s latest book, Writing Abroad: A Guide for Travelers (co-authored with Joanne Mulcahy of Lewis and Clark College) has won the 2018 Best Travel Book Award from Peace Corps Worldwide. formerly of WSU, has just published “Feminist Digital Research Methodology for Rhetoricians of Health and Medicine” in the prestigious Journal of Business and Technical Communication. has had his article, “The 17th Earl of Oxford in Italian Archives: Love’s Labours Found,” co-written with his research associate Coleen Moriarty, accepted for publication in The Oxfordian. The two spent the summer in the archives of bella Italia doing yet more research, on a fourth grant from the Shakespeare Oxford Fellowship. An interview was featured in the Gazzetta di Mantova, in the online newsletter for the Mantova Mercato Contadino, and they are invited to contribute to the journal Civilta Mantovana. and 12 DTC students met with WSU alums who graduated in 1958 and 1968 for the third Golden Grads Digital Storytelling Project. Some stories that emerged were the change from a college to university in 1958 and civil rights activities in 1968. Rebecca Goodrich and Alonzo Lopez-Meza (Comm and DTC ’17) were the Washington State winners of the National Association of County Agricultural Agents communication award in the category of video recording for the film Viva Farms Digital Storytelling Project. In May, she facilitated the third incarnation of the Viva Farms Digital Storytelling Project. Six students made three short documentaries about farmers working with WSU Skagit Co. Extension. In June she attended the workshop Data Visualization for Storytellers at the Berkeley Graduate School of Advanced Media Studies. July was spent serving on the hiring committee for the Evergreen Content Advisor. And summer wrapped up with an invitation to serve on the WSU Student Media Board, a group that oversees and advises student media projects. along with Leonardo Flores (UP Mayaguez), Abby Adams (Harry Ransom Humanities Center) and Nicholas Schiller (WSUV), received a grant from the Andrew W. Mellon Foundation to build the Electronic Literature Archives and migrate the metadata from the Electronic Literature Organization’s seven collections to the site. Her book, Traversals: The Use of Preservation for Early Electronic Writing was short-listed for the N. Katherine Hayles Award for Best Criticism of Electronic Literature. She taught courses at the Digital Humanities Summer Institute in June and gave two presentations at the Electronic Literature Organization conference and media arts festival in Montreal in August. 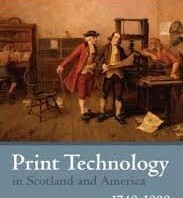 has two forthcoming publications. He will have a chapter, “Unnatural Narratology and Weird Realism in Jeff VanderMeer’s Annihilation,” included in the edited collection Environment and Narrative: New Directions in Econarratology, to be published by Ohio State University Press in 2019. He also has an article, “A Home for the Anthropocene: Planetary Time and Domestic Space in Richard McGuire’s Here,” forthcoming in a special issue of Literary Geographies on “Mobilizing Home(s).” (This special issue arises from a symposium at the Aarhus Institute of Advanced Studies in Aarhus, Denmark in 2017.) Hegglund will also be giving two invited presentations this fall. The first will be “Alien Expressions: Language, Faciality, and Anthropomorphism,” to be presented at the “Personification Across Disciplines” conference in Durham, England this September. The second will be “Anthropomorphism and Futurity: Narrating a Diminished Species,” to be presented at a symposium, “The Apocalyptic Dimensions of Climate Change and Fluctuating Environments in Scientific Models and Cultural Discourses,” to be held in Aachen, Germany this November. produced two radio segments this past summer on Portland’s Occupy ICE encampment, the site which catalyzed the nationwide movement to “Occupy” and “Abolish” Immigration and Customs Enforcement. The second of the two segments, in particular, focuses on reports of Department of Homeland Security officers targeting transgender and gender-nonconforming activists, along with activists of color. The segments, which aired on Portland’s community-supported KBOO radio, can be found at: https://www.kboo.org/media/66294-field-interviews-occupy-ice- and https://kboo.fm/media/66610-street-medics-occupy-ice-pdx. In collaboration with Oglala Lakota-Cheyenne activist/researcher Roben White, Hellegers is currently working on a full-length documentary film about the Pacific Northwest fossil fuel fight. Ten short videos, shot as part of that broader project, and featuring activists involved in Pacific Northwest fossil fuel resistance, can be found under “activist oral histories” in a new digital archive of the fossil fuel struggle called “The Thin Green Line is People”. The site, which was funded by seed money from the WSU Vancouver Diversity Council, is designed to foster the rapid integration of the fossil fuel fight into university and secondary education curriculum. Pavithra Narayanan served as a consulting editor on the videos. formerly of WSU, was selected by the Electronic Literature Organization as the graduate student to work with N. Katherine Hayles this coming year as part of the Marjorie C. Luesebrink Career Achievement Award. In this role he gave the formal introduction to Hayles, who was the 2018 recipient of the prize, at our annual banquet and will be helping Hayles to develop her materials for her website. The prize comes with $1000 stipend that Hayles gave to Ryan. Ryan begins his PhD in a few weeks, studying under the pioneering e-lit author Stuart Moulthrop at the U of Wisconsin Milwaukee. (Professor Emeritus) has published six poems in The Avocet: A Journal of Nature Poetry (Summer, 2018). She also guest-edited for the 2018 issue of D. H. Lawrence Studies, containing selected essays from the 14th International Lawrence Conference (“Lawrence and the Metropolis”) held in London and sponsored by the Lawrence Societies of England, North America,.and elsewhere.. (Featured essays represent the US, UK, France, Korea, Sweden, and Turkey.). Three of Debbie Lee’s creative nonfiction essays appeared recently: “A Syntax of Splits and Ruptures” in Superstition Review’s Spring-Summer 2018 issue; “Status Updates and Russian Trolls” in Burningwood Journal’s July 2018 issue; and “LIGO” in Lunch Ticket’s Summer-Fall 2018 issues. “LIGO,” shortlisted for Disquiet International Literary Prize, chosen from among over 1000 entries, earned her a scholarship to the conference in Lisbon, Portugal. Lee also was named Scholar-in-Residence for the Black Earth Institute, beginning Fall 2018. The BEI, a progressive think tank for social justice, environmental issues, and spirituality, appoints six fellows (artists and writers) and one scholar-writer every three years, and provides them with annual stipends for their research. BEI also runs the literary journal About Place. Lee’s co-edited book The Land Speaks (Oxford University Press 2017) was nominated by OUP for the 2018 Rachel Carson Environmental Book Award by the Society of Environmental Journalists. In addition, Lee attended the 5-day workshop “Falling Awake: An Ecology of Wonder,” led by cultural ecologist and geophilosopher David Abram, on Cortes Island, BC in July. chapter on WSU President V. Lane Rawlins has been accepted for publication in the forthcoming Washington State University Press book A Legacy of Leadership, which will cover the history of WSU’s presidents from up through Elson Floyd. Levy interviewed Rawlins extensively for the 7000 word chapter, spending time with him at his home in Lewiston and on numerous phone calls. The book, which will be hardcover and include many historical images, is slated for publication in April 2019. Buddy Levy is also about to deliver his manuscript Labyrinth of Ice: The Triumphant and Tragic Greely Polar Expedition. The book deals with the first (and northernmost in the world) International Polar Weather Station and an early American attempt to reach the North Pole, as well as the expedition’s abandonment, trials on ice, and rescue attempts. 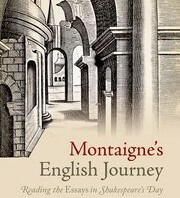 Labyrinth of Ice, Levy’s 7th book, will be published by St. Martin’s Press either in fall 2019 or winter 2020.
article, “‘Another Bloody Spectacle’: Excessive Violence in Christopher Marlowe’s Tamburlaine Plays” was published in Marlowe Studies: An Annual, issue 6.
was awarded an ASECS (American Society for Eighteenth-Century Studies) Keough-Naughton summer fellowship at the University of Notre Dame to continue his work on Irish novelist, Sydney Owenson’s The Missionary: An Indian Tale. Prior to visiting Notre Dame, and, after exploring / researching Cape Wrath in remote northwest Scotland, Kirk presented his work on Robert Louis Stevenson at the INCS (Interdisciplinary Nineteenth-Century Studies) Supernumerary Conference at the University of Roma Trė in Rome, Italy. poems appear in the current issues of Willow Springs, Mid-American Review, and Lunch Review and are forthcoming in Grist, Raleigh Review, and Measure. This past July, he was the recipient of a Summer Fishtrap Fellowship. His manuscript, There, There, was recently named a finalist for the 2018 Tupelo Press Berkshire Prize and the Sarabande Books Kathryn A. Morton Prize. essay “Fatherhood, Football, Hrvatska” was published as part of Howler’s 2018 World Cup coverage, and the essay will appear in the fall 2018 print issue of Howler. presented a paper “’Water Is Life’: Decolonization, Indigeneity, and Ecocriticism” at the 2018 Literary Studies Convention: The Literary Interface, at the Australian National University, Canberra, July 3-7. Narayanan’s book, What Are You Reading? has been reprinted by Routledge as a special South Asia edition (2018). was recently appointed Chair of Diversity and Outreach for the Writing Program Administration – Graduate Organization (WPA GO). 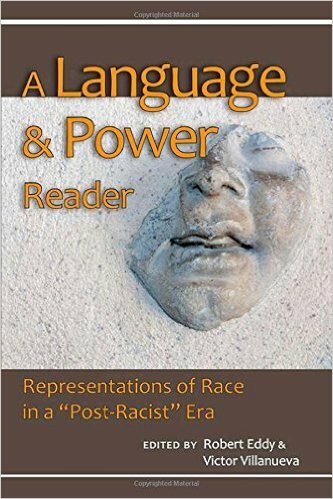 panel, “Rupturing, Relating, and Reconciling (Under-) Representation through Rhetorical Analysis of Narratives,” was accepted for presentation at the Race and Pedagogy National Conference in Tacoma, Washington on September 27-29, 2018.
chapter “Something Other Than Progress: Indigenous Methodologies and Higher Education in Prison” was published as part of the edited collection, Prison Pedagogies: Learning and Teaching With Imprisoned Writers (Syracuse UP). has had her new poem, “Between Green and Winter Fade,” accepted for publication by MAYDAY Magazine, part of New American Press. presented a paper entitled “The Handmaid’s Tale: Missing Children and Sanctifying Motherhood in Popular Narratives of Decline” at Console-ing Passions: An International Conference on Television, Video, Audio, New Media, and Feminism, in Bournemouth, England, July 11-13.
presented her paper, “Navigation and Negotiation in the Narratives of the Halo Halo Generation” at the 16th Islands of the World Conference 2018 (ISISA2018): The Changing Futures of Islands” on June 10-14, 2018 in Leeuwarden and Terschelling, the Netherlands, sponsored by the Waddenacademie, University of Groningen, KITLV/Royal Netherlands Institute of Southeast Asian and Caribbean Studies, Leeuwarden Cultural Capital of Europe 2018, and Oerol and Sense of Place. There she was awarded her second ISISA Student Scholarship. Moreover, her proposal has been accepted by the Graduate Student Standing Group for its panel on “Imposter Syndrome in Academia” at CCCC 2019 in Pittsburg, Pennsylvania on March 13-16, 2019. She is also the Graduate Assistant for the WSU Critical Literacies Achievement and Success Program (CLASP) for AY 2018-19.
webtext “Making Comics as Scholarship: A Reflection on the Process Behind DHQ 9.4” in Kairos: A Journal of Rhetoric, Technology, and Pedagogy 22.3. “Making Comics as Scholarship” was co-authored by Anastasia Salter and Jason Helms and included an editorial reflection on the successes and failures surrounding the use of comics as a scholarly medium. article, “Battling Black Womanhood in Sister Souljah’s The Coldest Winter Ever: Extending Black Feminism through Hip-Hop Literature,” will be published in Words. Beats. Life: The Global Journal of Hip-Hop Culture this Fall. presented a paper entitled “Political Cognition and Treason in Shakespeare’s Histories” at the recent Renaissance Society of America conference in New Orleans, LA. He was also elected to a three-year term as the RSA’s national representative for the “Legal/Political Thought” study area. was one of two invited speakers on “Shakespeare’s Shylock” in a forum at Folio: The Seattle Athenaeum, an event anticipating the Seattle Shakespeare production of The Merchant of Venice. gave a presentation at the Conference on College Composition and Communication (CCCC) in Kansas City, Missouri on “The Economic Transformation of Written Labor into Data from Learning Management Systems: Students’ Rights to Their Own Digital Capital” as a part of a featured panel sponsored by the CCCC Intellectual Property Standing Group. creative nonfiction essay “A Syntax of Splits and Ruptures” has been accepted for publication at Superstition Reviewand will appear in its next issue. Lee co-led a workshop at the American Society for Environmental History, “People, Place, and Voice: Oral History Basics for Environmental Historians” with Donna Sinclair, Department of History, WSU-Vancouver and James Lewis, Senior Historian, Forest History Society. She also participated in the roundtable “The Land Speaks: Using Oral History to Enrich American Environmental History,” March 12-17, in Riverside, CA. was featured in episodes of Leonardo DiCaprio’s new series on HISTORY, which premiered March 7 at 9pm EST. The series “The Men Who Built America: Frontiersmen” spans a formative period of history featuring the first 75 volatile years of the United States – from the Revolution through the California Gold Rush – where Daniel Boone, Meriwether Lewis and William Clark, John Frémont, Davy Crockett and Andrew Jackson set forth across uncharted land with determination and self-reliance. Buddy Levy was interviewed about the famous frontiersman David Crockett, about whom Levy wrote a biography called American Legend: The Real-Life Adventures of David Crockett. You can see the announcement onVarietyand watch the trailer here. presented three invited lectures at the Birla Institute of Technology and Science, Pilani-Goa Campus: “Othello, Race, and America,” on March 14; “Roads to Nowhere: Irish Roads Protests,” March 13; and “Reading Ophelia’s Madness” Birla Institute of Technology and Science, Pilani-Goa Campus, March 12, 2018.
will present a conference paper entitled, “Disrupting Prime Time TV and Claiming a Space for the LGBT Community: The Power of Discourse in ‘When We Rise’” at the 2018 Cultural Studies Association Conference, which will be held from May 31st through June 2nd, 2018 at Carnegie Mellon University. was awarded first place for the Arts, Humanities, and Design category at WSU’s GPSA Research Exposition, presenting his poster and multimodal video project, “In Yo’ Face, Yellowface! : Challenging Representation of Asians and Asian Americans through Détournement.” He also presented his paper “We May Be Larger Than We Appear: Composing Asian American Resistance” at the Association for Asian American Studies Annual Conference in San Francisco on March 29th, 2018.
workshop presentation, “Reclamation of the Past, Resistance in the Present, and Responsibilities towards the Future through Filipino American Literacy Narratives,” was accepted for presentation at the Filipino American National Historical Society Conference: “Community for Cohesion and Collaboration” on July 11-14, 2018 in Chicago, Illinois.